Photos play an important role in our everyday life, as we always tend to click pictures and want to seize the moment. Old monochromatic photos have become obsolete these days, because we love vibrant colors on our pictures and want our pictures to also look colorful. 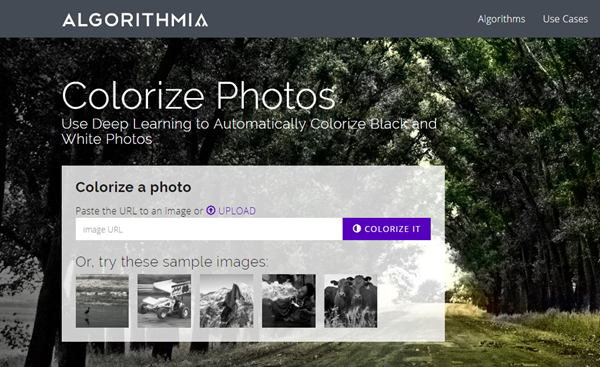 So, how about to colorize your black and white photos to colorful ones? You might think this to be a hard and monotonous job, but nowadays with online tools, software and apps we can almost do everything like erasing unwanted objects from photos with Photo Eraser tool, so why not this? Coloring back a monochrome picture into a vibrant and colorful picture should be quite difficult as because the proper blending of colors is required to make the picture look perfect. However, thanks to modern-day applications and software that use AI and machine learning to properly blend the colors back and make it look original. So, we will help you to convert your black and white photos to vibrant and colorful ones. If you are an app lover and in need of a useful application, then the following add color to black and white photos apps will help you a lot in colorizing your old black and white images easily from your smartphone itself. 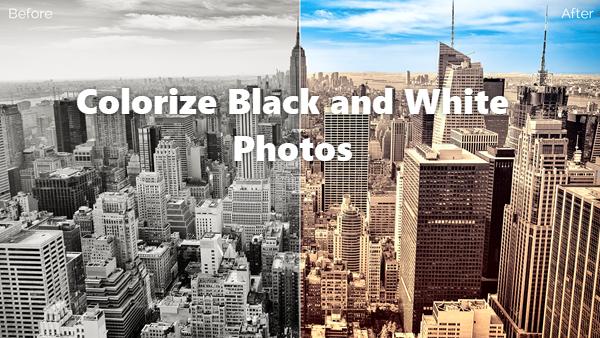 As the name suggests, this app lets you colorize your black and white photo easily. You can either color your monochrome photo or even you can reverse the thing and make a great black and white photo as well. The Splash effect easily lets you color your photos as if you are painting your photo in an artistic fashion. Also, there’s a Snap function that enables you create the snap photo with color splash. With this snap function, you can also add texts and emojis to your photos to make them look cool and instantly share your snap pictures for in a square way for Instagram through the app itself. You can even add a blurred background to the photos so as to reduce the noise in the background and also add a gradient, solid or pattern backgrounds to your photos. So, this app not only helps you colorize your photos but also helps you to make photos look even better and vibrant. Basically for iOS users, the Color Splash app easily helps you to color a monochromatic image or vice versa. Its amazing tools help you easily turn the colors around but its AI and machine learning help the finished image to look natural even if the colors are inverted. Also, the app’s intuitive and responsive user interface makes the Color Splash app easy and fun to use. Here, you have to use your finger as a brush to actually paint the sections of your image black and white image. Putting cool color to black and white photos is possible with this app as you can manually select those parts you want to get colored. The two-finger pinching gesture also allows you to zoom in or out and work on the minute details of the picture with high pixel-accuracy. Though this is a paid app and it costs a mere $0.99, overall this is a great app and does your job perfectly without any issues. 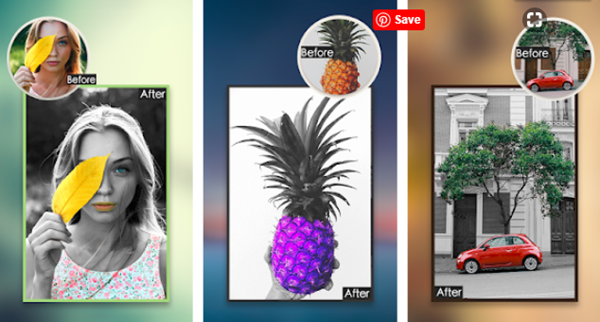 Colorize Photo Online Converter seamlessly helps you to upload your photo and get it colored automatically and it also gives you the freedom to add colors manually to your black and white photo. You can even copy and add the colors from a separate colorful photo onto a monochromatic one you want to colorize. Also, there are tools like Size, Opacity, and Hardness which can be utilized to ultimately adjust the cursor that you are using to add color to the black and white photo. The tool also allows you to control the areas of the monochrome photo that you want to colorize and you can also choose the intensity of the color you want to apply. The Colorize Photos Online Converter is a very useful tool that provides a great level of precision and the finished color photos have a realistic feel to it as well. This is another simple yet effective online tool to colorize photo. Like the previous one, here also you just have to upload your photo and click on the Colorize It button. Its own algorithm will then automatically colorize your photo and make it look vibrant and artistic. 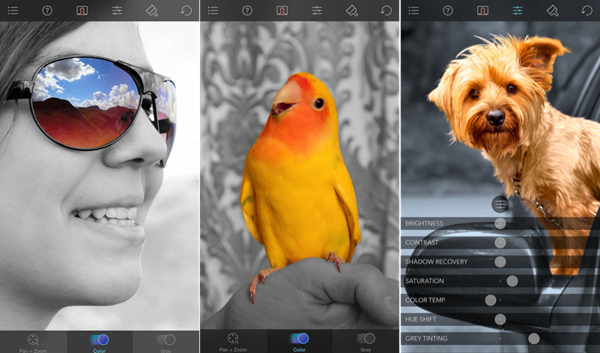 The Colorize Photos tool uses information from millions of images and its AI helps to analyze and create beautiful and colorful photos from your previous dull monochrome image. Though this app is not always accurate, so results may get varied but most of the times this online tool does its job pretty well. After you convert your black and white photo to color, you can then turn the photo into watercolor painting with these apps. Here are the various ways by which you can turn any of your old black and white images to colourful and artistic photos easily. Both the online tools and apps are easy to use and helpful, so you have to choose our preferable way and can just convert black and white photo to color. Apart from the iOS app all of them are free to use, so try each of them out and then use which process feels more comfortable and effective. We hope through our article your question of “how to put colour in black and white photos?” has got resolved and from now, no need to waste your old photos or just any monochrome photos rather convert them to vibrant color photos easily.